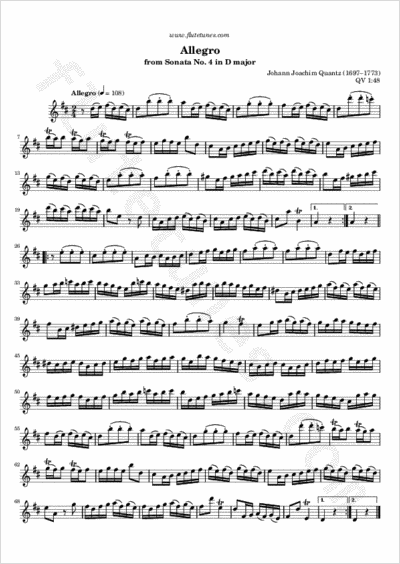 This is the third and final movement of Johann Joachim Quantz's Sonata No. 4 in D major for flute and continuo. It is one of the many works for flute that Quantz composed for his student and patron Frederick II, King of Prussia.